Is it time to jazz up your holiday color schemes for this season? There is so much more from which to choose than the traditional red and green although it is still a favorite of mine. Unless you work in the design industry, the selection of any ‘color scheme’ is daunting to most, however, I think I can make this easier for you. So, if you’re ready for a change, let’s explore a few delightful color schemes that you might enjoy and use in your home this season. When I saw this tree, I thought I had walked into a dream! 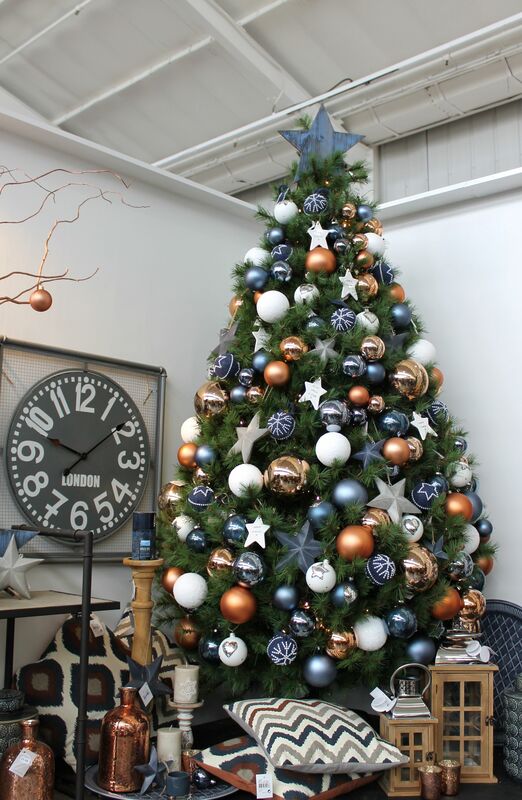 This color scheme starts with a white flocked tree as the base. Add to that the gorgeous, large blush pink silk flowers along with the glass ornaments in blush pink, rose gold, silver, and white. This design is breath-taking yet easy to put together with the three colors of blush pink, rose gold, and white. Surround this dreamy combination with silver, white, and copper room decor for a glamorous design. This is the perfect nautical color scheme in copper, dark blue, and bright white. This green tree is loaded with big ornaments in variating sizes and styles. The colors shine through in the ornaments of gold glass, soft iridescent copper, bright white, along with the stars and snowflakes. This supports a surrounding design of blues, coppers, greys, and natural wood for a fantastic room full of nautical cheer. I love trees with big ribbons and this is a great example of ribbon tree decor. 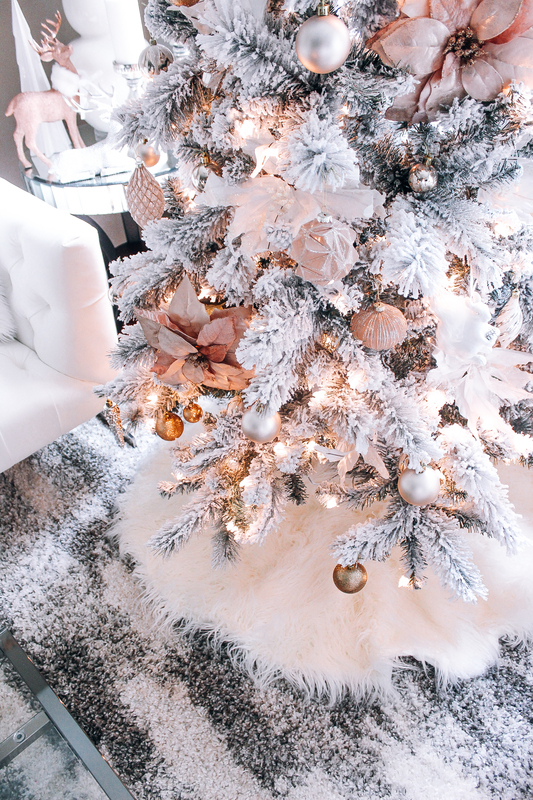 This tree is textured with many levels of glittering silver and gold ribbons and ornaments. It sparkles with tiny silver poinsettias tucked generously around the tree. Follow this color scheme all the way through the wrapping of the presents for a truly luxurious and cheerful holiday event. Whether you opt for traditional colors or something a little different, it is my wish that you find your inspiration for an amazing holiday color scheme. Moreover, may the colorful season ahead be full of warmth and cheer for you, your family and guests.